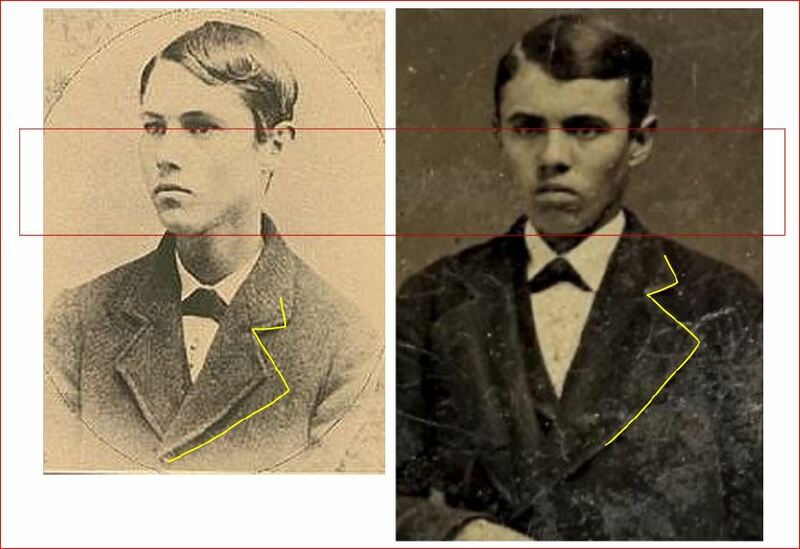 “Just another entry in the parade of “newly discovered” photos of Jesse that have been “authenticated” by comparing them to a photo that isn’t Jesse. “- CHUCK RABAS, Kansas City, Mo. 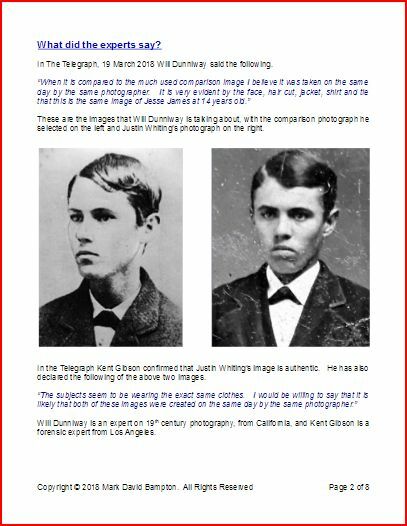 Can’t a year go by without some fool huckster who seeks fifteen minutes of fame claims a fake Jesse James photo is authentic? 2018 has just begun, and the witlessness has happened again. This time with a 7£ tintype find on eBay. Regrettably, the pitch for the present folly falls far short of the sublimity achieved by polished con artists. 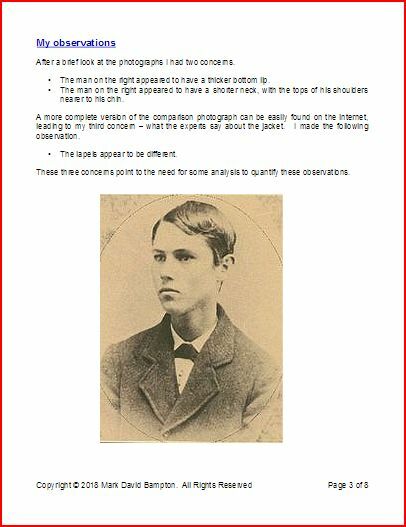 The hucksters for this fraudulent Jesse James picture only rate top notch for amateurism. 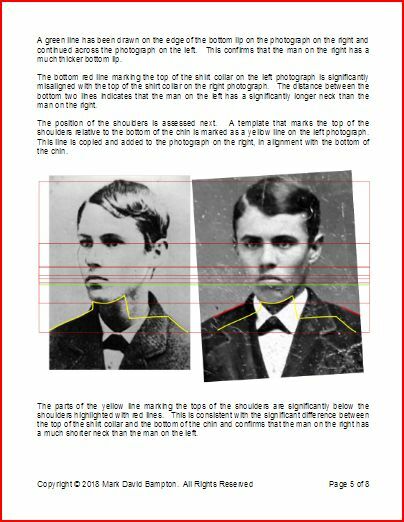 Faithfully following the proven template of sharpies and swindlers of fake Jesse James photos, these amateurs step readily and willingly into a template for a crime. 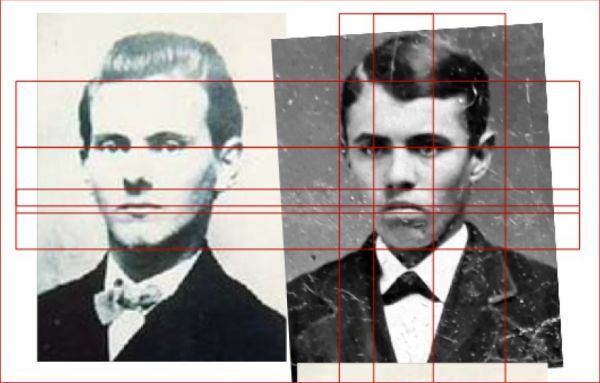 The family of Jesse James brands them as merchants of identity theft. 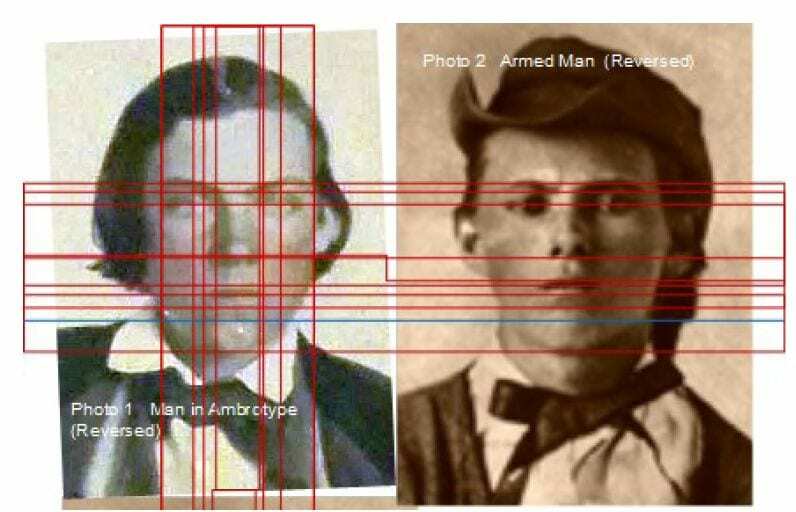 Linear forensics applied by Mark Bampton to Lois Gibson’s alleged authentication of the claimed Jesse James image yields plainly visible discrepancies in the Bob Ford/Jesse Jame photo hoax. 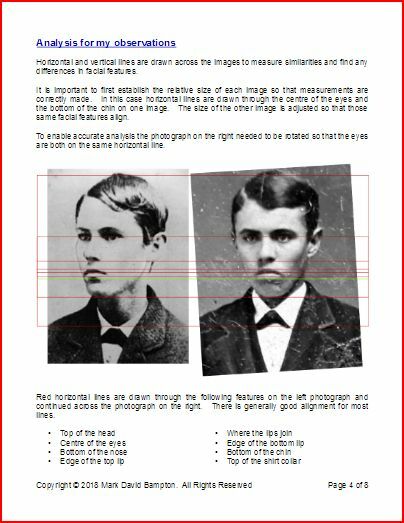 In 2016-2017, hoo-ha raged over the Bob Ford/Jesse James photo hoax. In its first stage, a standard template of con artistry failed miserably, dragging the Houston, Texas Police Department into the gutter with it. With no substantive evidence to support the image claim, the hoax then advanced to a surprising second level. The hoax transitioned into a reality TV show. Television produced a sham auction of the tintype, claiming a final bid of $35,000 that was literally unbelievable. No record exists of the money being paid. More so, no image of Jesse James ever has sold for more than $2,000. 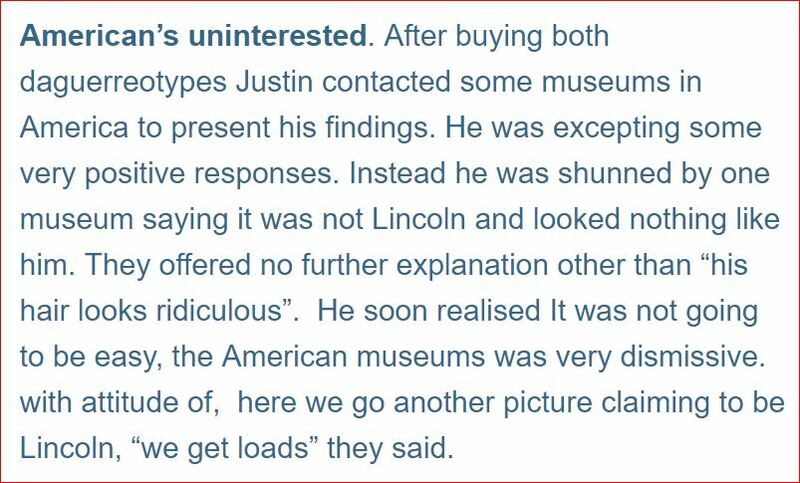 Justin Whiting laughably waits for his tintype to fetch him $2 million US. 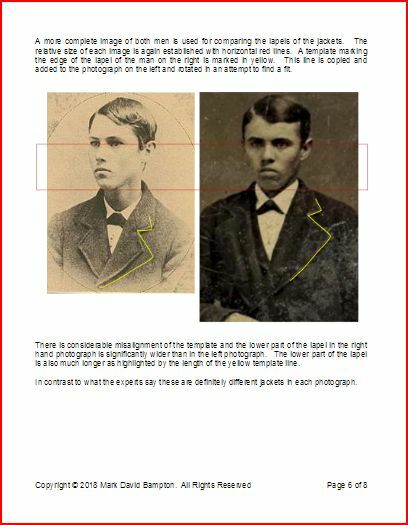 Forensic science proves a claimed Jesse James tintype is not authentic. 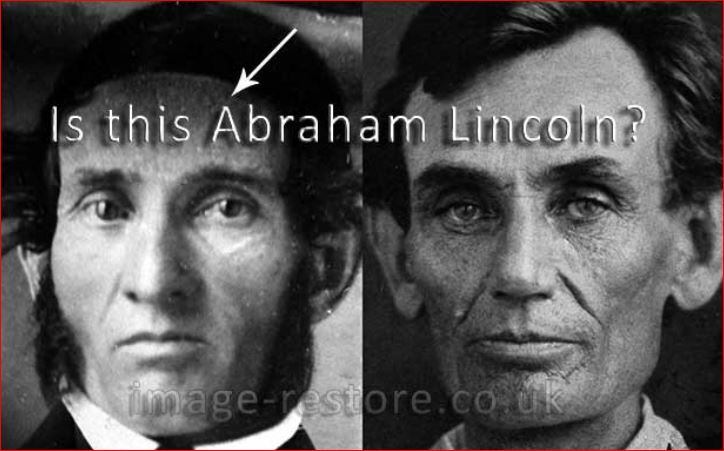 Then arrived a claimant to Jesse James kinship. He hawked a photo from his family possessions. 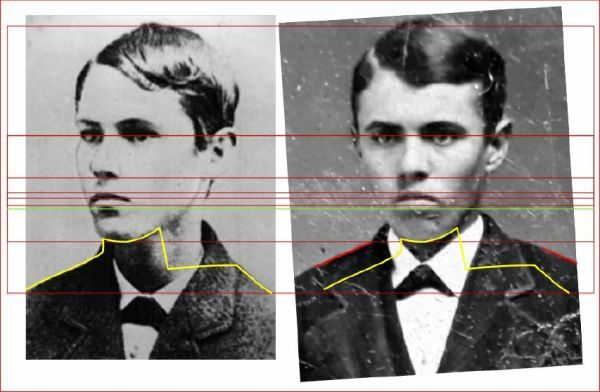 The claimant could not prove his kinship any more than he could prove his ambrotype was Jesse James. 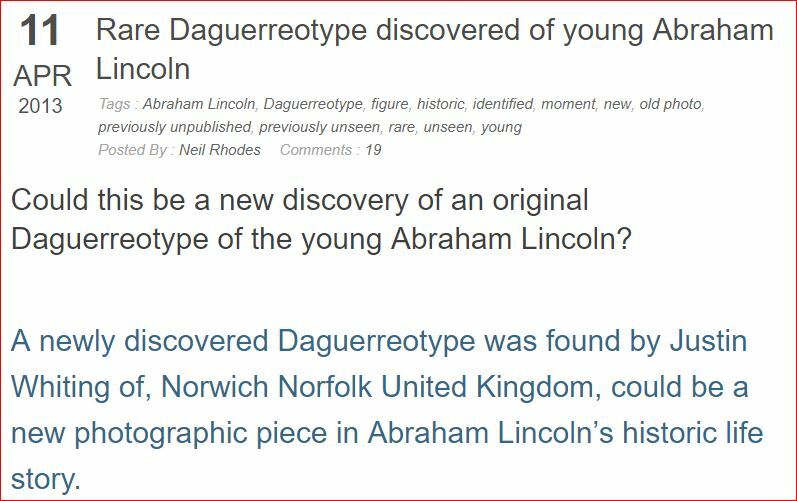 He only proved that suckers exist for fraudulent Jesse James imagery. The ambrotype never reached the auctioneer’s advertised value of $12,000. The ambrotype sold at auction for a paltry $300. America has grown weary of fake Jesse James photos. Delusional con artists abound, and self-appointed “authenticators” always are ready to aid the con. It’s no surprise that the infection of the fake photo phenomenon has crossed the ocean to the UK. After all, the United Kingdom is the ancestral seat of tabloid journalism and fake news. Just ask any of the country’s kings or queens, Will Shakespeare or Rupert Murdoch. Tea is not tea without one’s purple prose and fantasy fulfillment. In Lincolnshire, England is the town of Spalding. 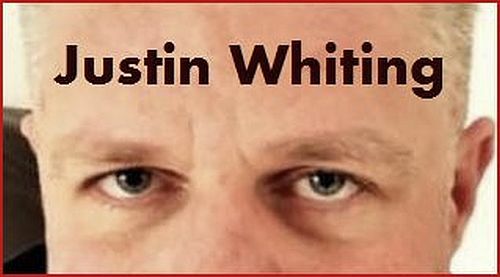 There sits Justin Whiting. He is out of work and confined to his computer screen by a back injury. 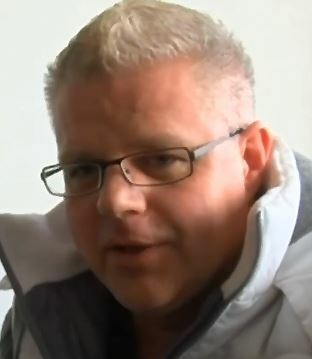 Whiting is a middle-aged man with a childish imagination that further cripples his well-being. Lonely as Jane Austin, Whiting trolls eBay for excitement. He likes old photos. On eBay, one old tintype caught his eye. 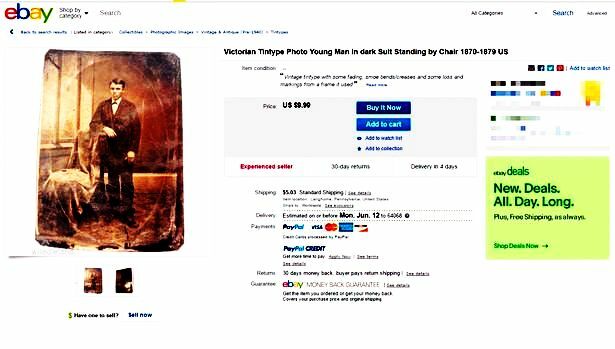 The eBay ad that Justin James now swindles as his authentic image of Jesse James. 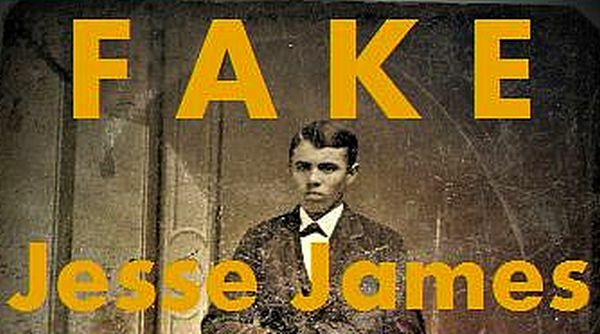 The ad contained no claim that the image was Jesse Woodson James, America’s folk-lore outlaw. Whiting, however, thought something about the image was familiar. 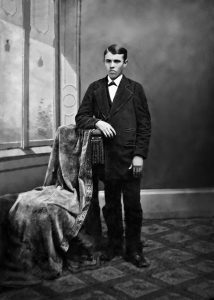 With no immersive knowledge of Jesse James history, photography forensics, or family genetics, Justin Whiting made the sole determination that the tintype he bought on eBay is Jesse James. Seized by the irrational insanity of his conviction, Whiting searched for other discoveries he could manufacture. 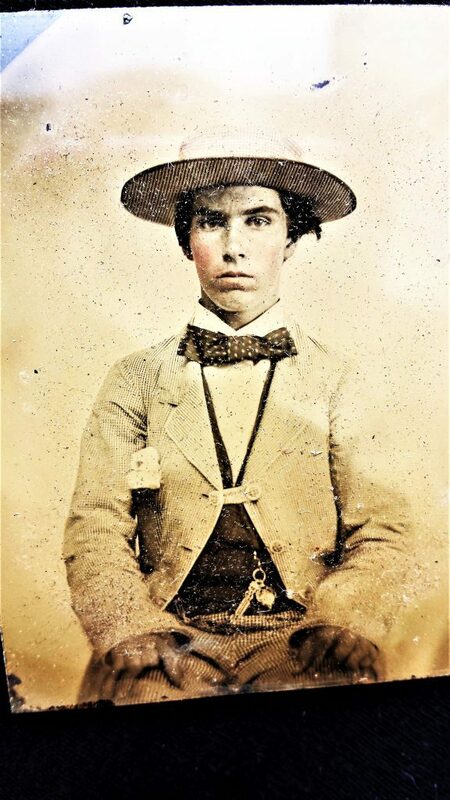 He found another image he believed was Jesse James. 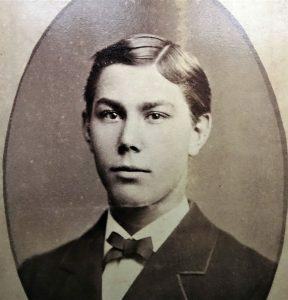 Justin Whiting claims this, too, is an image of Jesse James. Whiting says he has an entire box full of photos of Jesse James, Billy the Kid, and Abraham Lincon! 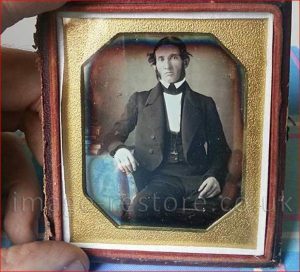 Going off the deep end of all rationality, Justin Whiting furthermore claimed he has another old tintype of the Jim and Bob Younger of the Younger Gang. 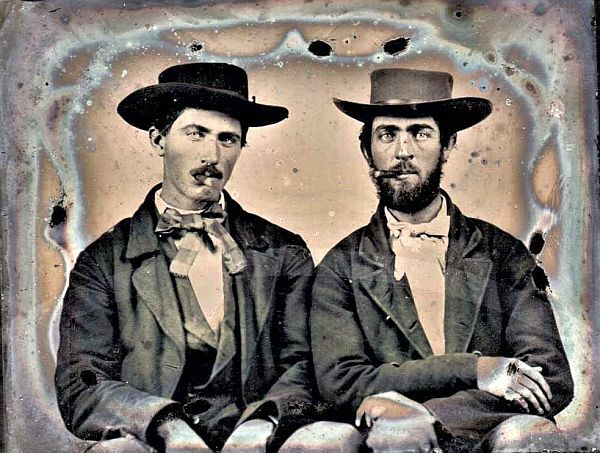 Justin Whiting says these two characters are Bob and Jim Younger of th Younger Gang. Whiting provides no substantiation. In the full bloom of his self-delusion, Justin Whiting reached out to the Jesse James family for the approval and justification he needed. 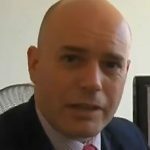 He queried the James family historian, Eric F James, publisher of the James family’s web site Stray Leaves that routinely debunks the fraud inflicted upon Jesse James history and the Jesse James family. 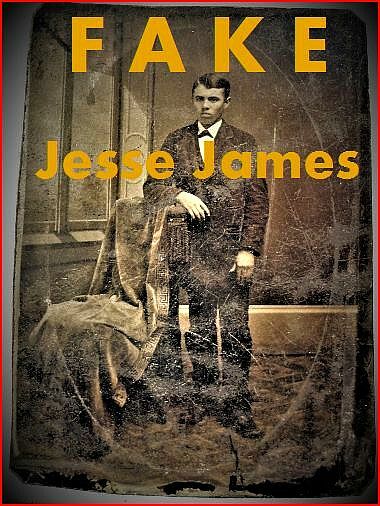 James also is the author of the biographical history of the James family, Jesse James Soul Liberty. 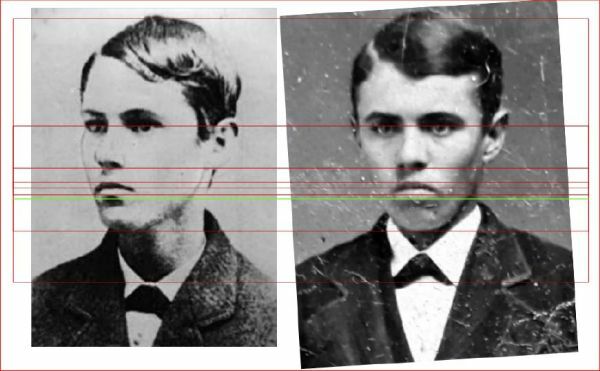 The James Preservation Trust, which James administers, archives a large collection of submissions claimed to be Jesse James that James receives routinely on a weekly, if not daily, basis. 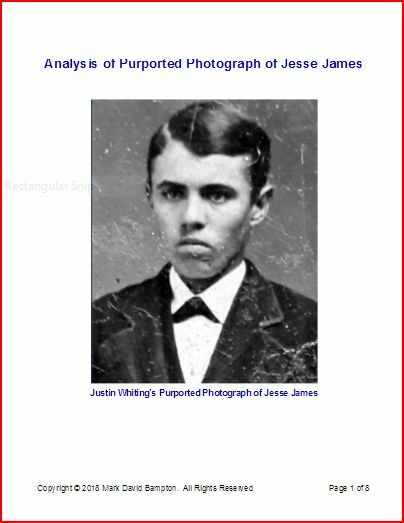 James denied Whiting’s tintype is an image of Jesse James. 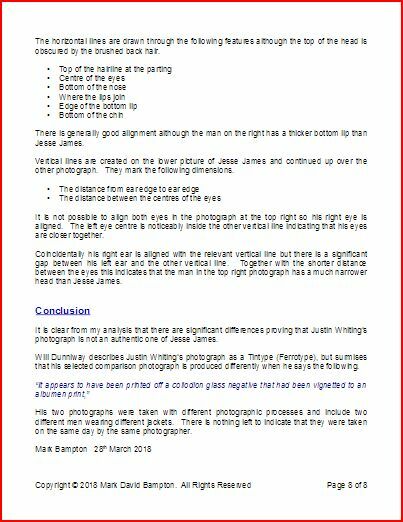 In a series of email correspondence, Whiting repetitively pestered James with false claims and fake photos. James considered blocking Whiting’s email. Since Whiting had made no public claim, James left the line of communication open. 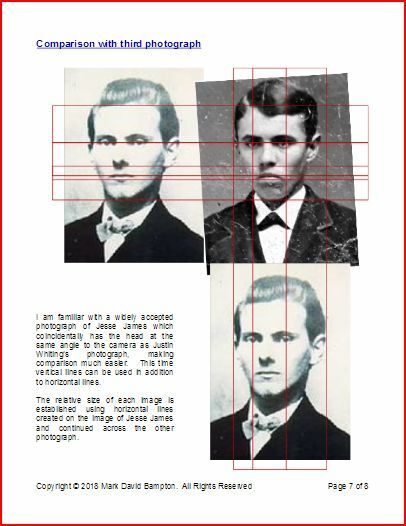 Whiting since has been put on the James family’s watch list of Jesse James con artists. The span of Whiting’s email, now on record, reveals Whiting’s delusion, his obsession, his childish crass belligerence, and hucksterism. In the experience of the James family, fraudsters like Whiting reveal themselves given time. 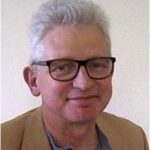 Eric F. James perceives in Whiting’s most recent email Whiting’s lack of education, an absence of basic grammar, and a narrow-minded, self-centered pathology. 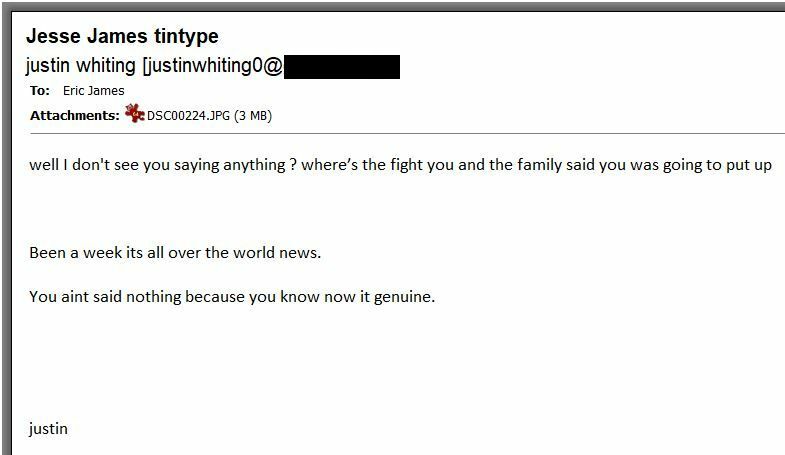 Now that Whiting has gone public with his claim, soon the James family will publish the email correspondence between Whiting and James. The James family believes the general public can make its own, independent determination after reading Whiting’s own written record. Social media already has been falling in favor of the James family for a while.